What has Pooks been writing and reading lately? 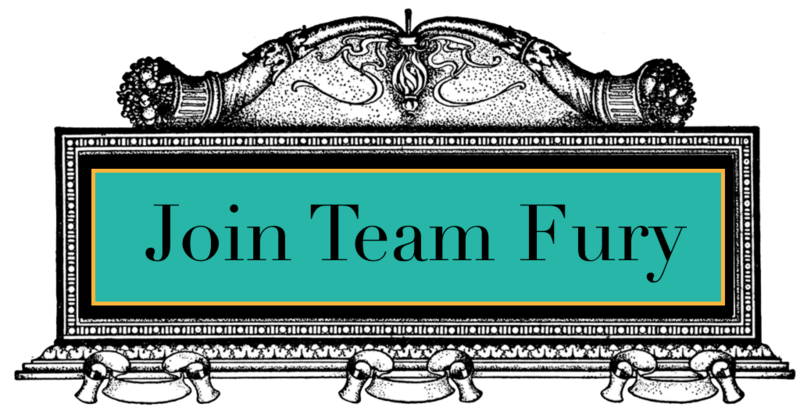 Team Fury is a select group of readers who love The Fury Triad and want to be inside the action, sometimes knowing the scoop before anyone else, and spreading the word about the books. And it’s about getting to read the books first, for free. And leaving honest reviews online for others to see. Oh, and swag. There will be swag.